Available in 2x2", 4¼ x 4¼" and 6x6" - 0.50" thick (frost-proof). 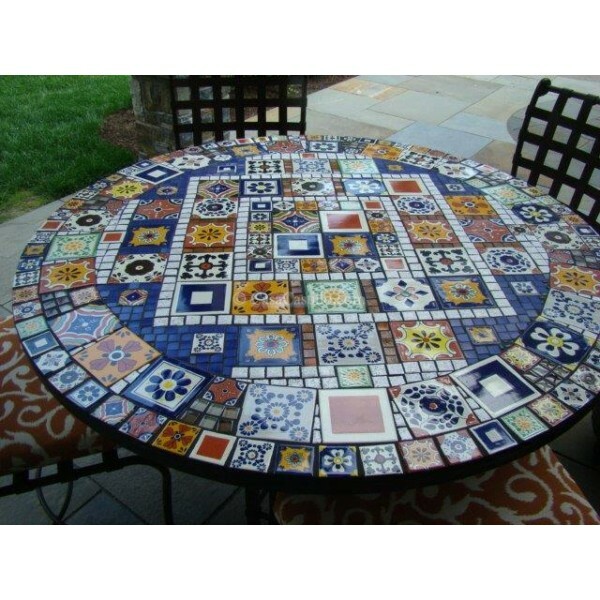 These beautiful hand painted talavera tiles will bring colorful and happy vibrations anywhere you decide to install them. They are unique, each hand painted having their own personality. 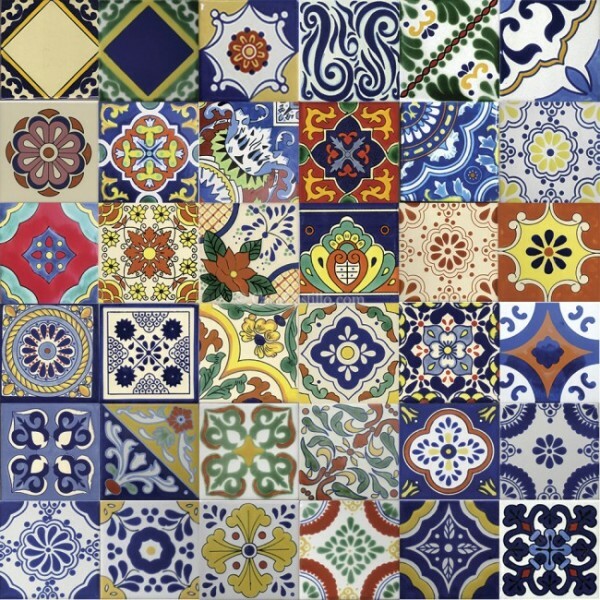 More than a plain decoration, these Mexican tiles will create a warm and cheerful environment to lift your mood at any time. 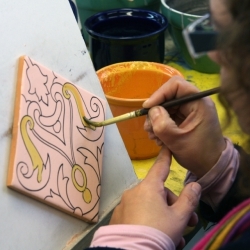 The artisans passion and love for their work in these tiles are easily shown at first glance. 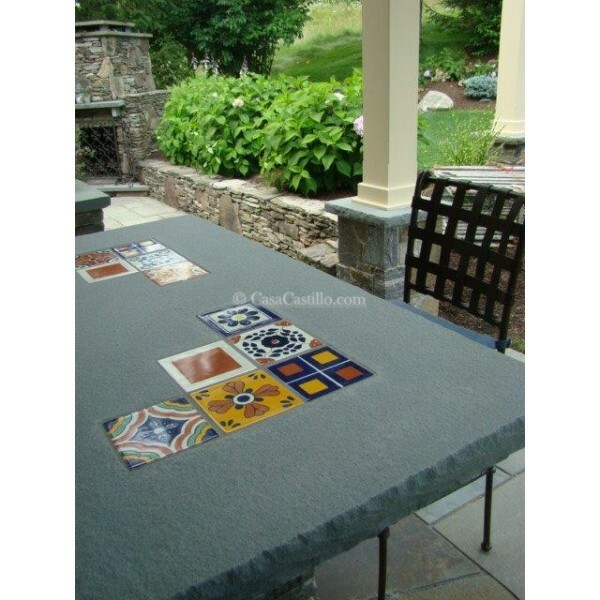 Size: 2x2", 4¼ x 4¼" and 6x6" - 0.50" thick (frost-proof). Our frost proof tiles have an additional layer of a red body bisque and double thickness, making them frost proof and of longer durability. 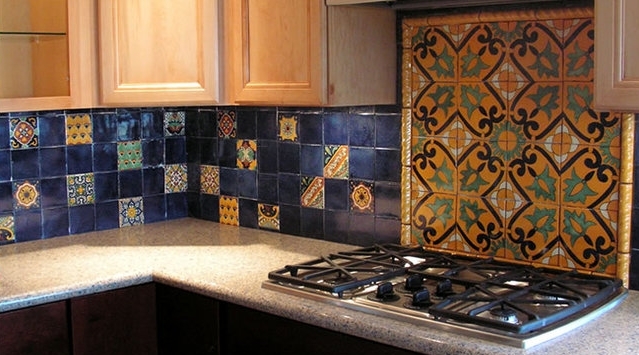 If you want a tile for your outdoors in frozen temps and that will last for generations, choose our frost proof tiles. 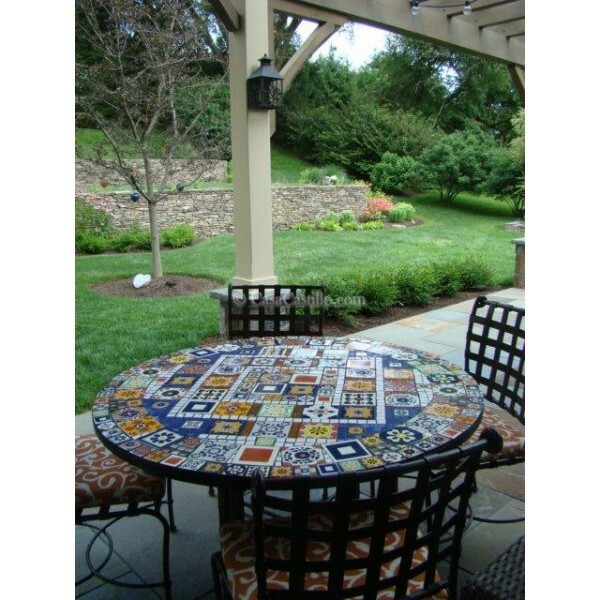 "One picture says more than thousand words, here are some ideas from our customer's decorative projects; Talavera Tiles are a happy and colorful addition to any room, outdoors, stairs, pool area, etc. Feel free to let your mind create adventurous and unique decorative ideas. 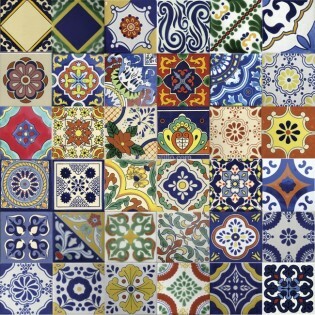 Enjoy the always up lifting moments in your Mexican tiled environment". Click on the image to enlarge it.